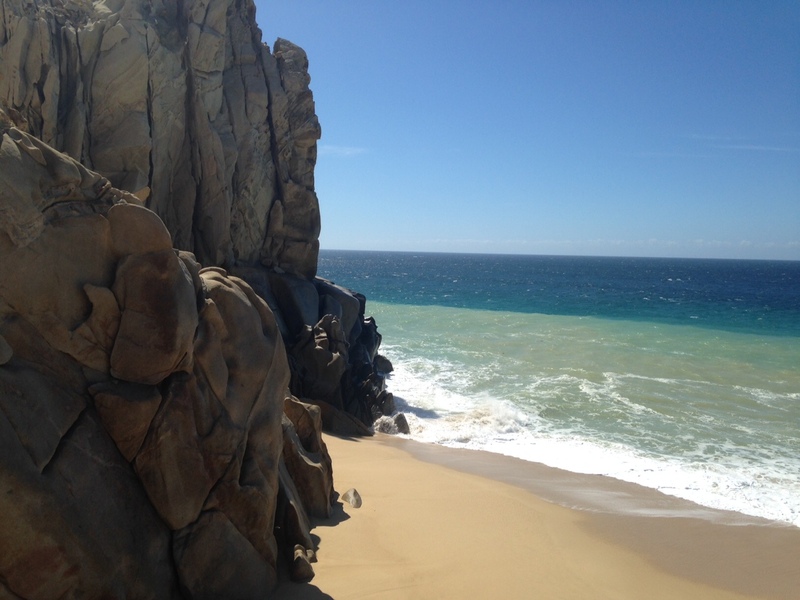 Los Cabos is one of the top beach destinations in Mexico. It is especially popular for American and Canadian tourists. Its a paradise that contrasts the desert with the ocean and offers amazing views. 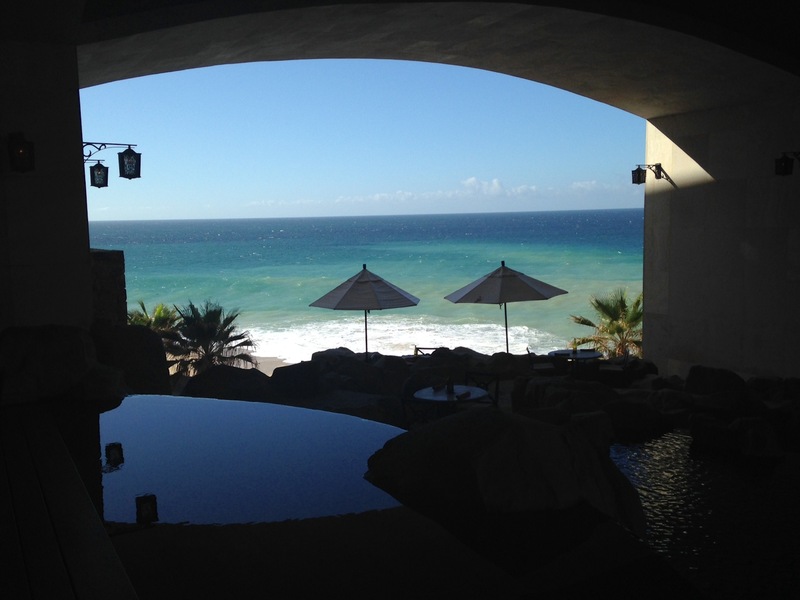 Los Cabos was hit with hurricane Odile in September 2014 and unfortunately many of the hotels suffered damages. Many hotels had to close down for a few months to repair the damages and some took advantage to remodel their properties. I went to Cabo at the beginning of May for the first time, it was the perfect timing as many of the hotels had recently opened and I was able to see the renovations. 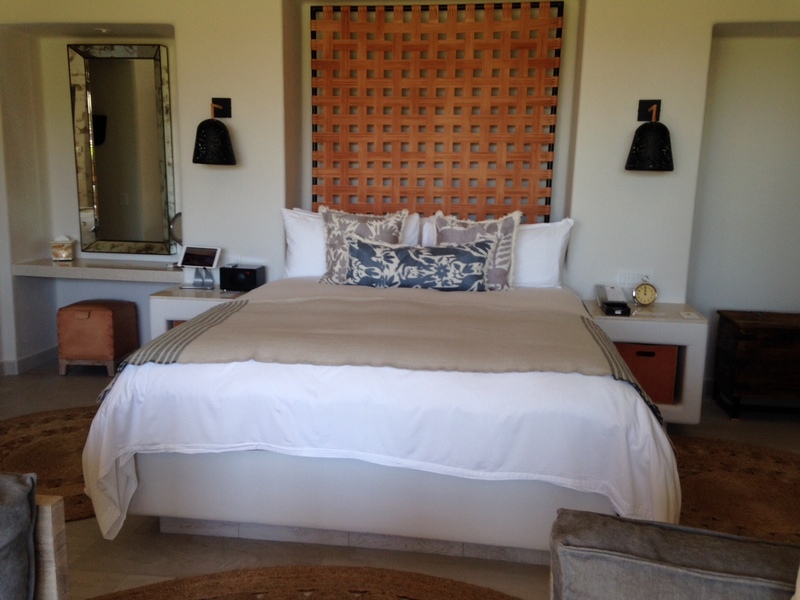 If you like high-end properties with impeccable service I would definitely recommend Esperanza, an Auberge Resort. 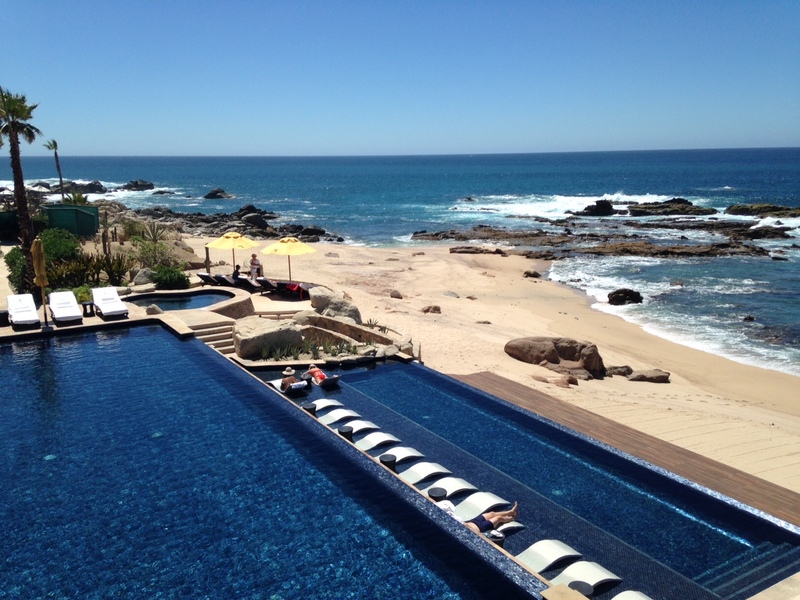 This hotel is located in Punta Ballena in Cabo San Lucas, the property has superb installations and outstanding views. All the rooms have been renovated and depending on what floor you are in you can get either a hammock in the terrace or an outdoor jacuzzi. The rooms are spacious and perfect for a romantic couples retreat or a weekend with close friends. Esperanza offers several dining options and it has a nice beach although you are not able to swim in the ocean. If you prefer a hotel with a beach where you can swim in I would recommend the Pueblo Bonito Rose or Blanco in Medano beach. Both hotels are perfect for groups and families with kids, they have options to choose from all inclusive or regular hotel where you pay what you consume. The beach area for both properties is very enjoyable and you are able to swim in the ocean or walk along the beach to other properties near by. 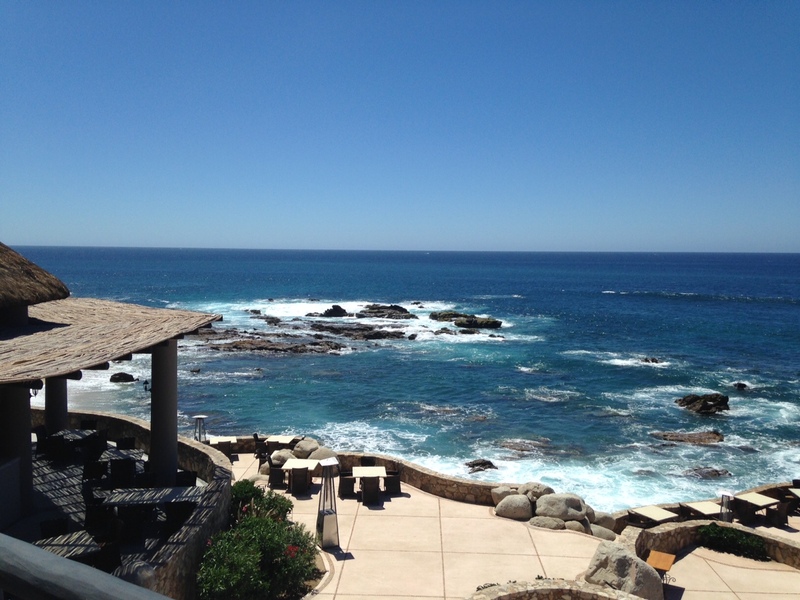 Another great option to stay is Solmar and Grand Solmar Lands End. Grand Solmar is more high end, with amazing rooms and apartments. These are both resorts geared towards families, they are big properties with several pools and have great amenities such as gym and spa. The new spa in Grand Solmar is to die for! The massage cabins are directly overlooking the ocean, you can enjoy the sound of the waves breaking and the amazing views they offer. If you decide to stay here have breakfast at La Roca and enjoy the view next to the ocean. If you are looking for places to eat in Los Cabos visit Eat Like a Local in Cabo to get tips and recommendations on restaurants.